At the age of four, Andrew Edwards was diagnosed with autism. “Go home and watch Rain Man,” the specialist told his mother. “In all probability your son will be institutionalised.” Determined to prove the specialist wrong, Andrew’s mother set out to give her son the best life possible. I’ve got a Stat for You is an honest and compelling account of one young man’s journey to manage his autism and achieve his goals. Raised in a single parent household and encountering bureaucracy, bullying, and a lack of understanding from many around him, Andrew emerged from a turbulent childhood to win a Welsh National Young Volunteer Award, give speeches on his condition, and secure his dream job as a statistician at Manchester United Television. 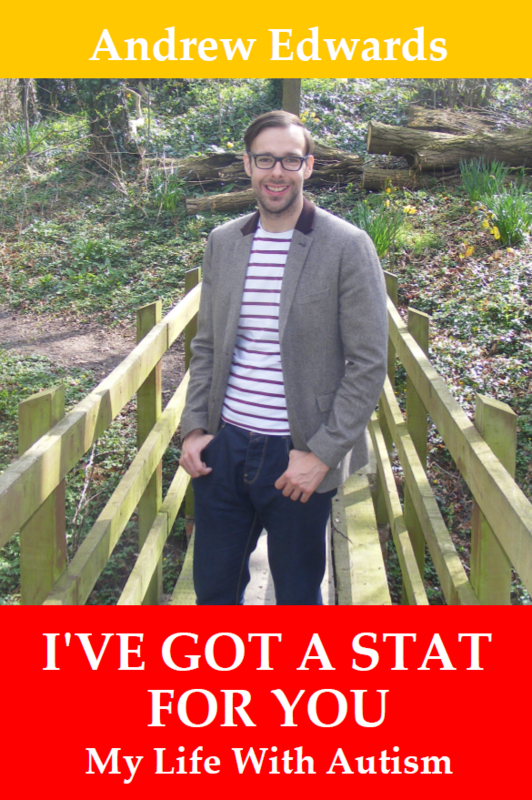 From Wrexham to Buckingham Palace, and incorporating stories of The Simpsons, sport, music, and strange smells – I’ve got a Stat for You is a powerful and inspirational tale that shows how determination, a positive outlook, and the will to succeed can overcome all odds! Book Categories: Andrew Edwards, People and Self-Help.